A new concentration within the French major is awaiting approval from the University and the Board of Trustrees, according to Co-Director of Graduate Studies for French and Comparative Literature Vincent Bruyère. The College Curriculum Committee has already approved the new initiative, called the French Interdisciplinary Track (FIT), Bruyère said. If all goes as planned, FIT will be implemented by fall 2016, Bruyère added. FIT’s aim is “to provide students with critical tools to enhance their ability to reflect on issues of cultural and methodological diversity,” according to Bruyère. The interdisciplinary approach would “encourage students to think differently about potential transfers of knowledge between fields and traditions,” according to the statement. FIT, which has been in the works for years, aims to change the face of French studies at Emory, according to Bruyère. The track will include four courses in French and four courses taught in English. The preparatory courses, FREN 310 and FREN 314, will be the same as the traditional French studies major. One other 300-level French language course is required before students can begin courses in topics like Francophone culture, French philosophy or biology. The idea is that the courses taught in English will be available not only for French majors, but the Emory community at-large, Bruyère added. The track’s final course — FREN 497R, titled the Interdisciplinary Capstone Project — will be offered in English or French. 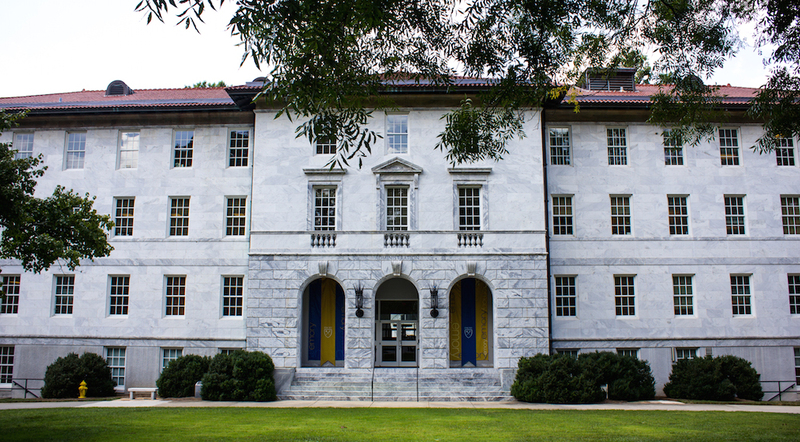 Here, students will work on a self-reflexive individual piece, exploring their academic and personal trajectory at Emory, according to Bruyère. “We plan on exploring ideas that are not typically taught in the French classroom,” he said. In response to the proposal, College sophomore Becca Flikier said that she agreed with department’s decision to try and become more interdisciplinary. College freshman Diana Lara is interested in the new French track. “Having classes that cover more applicable and relevant subjects will attract a lot of students,” she said. The Department wants to use this major as a part of their desire to cater to the changing world and generation, according to Bruyère. “French and Francophone studies at Emory are alive,” he said.